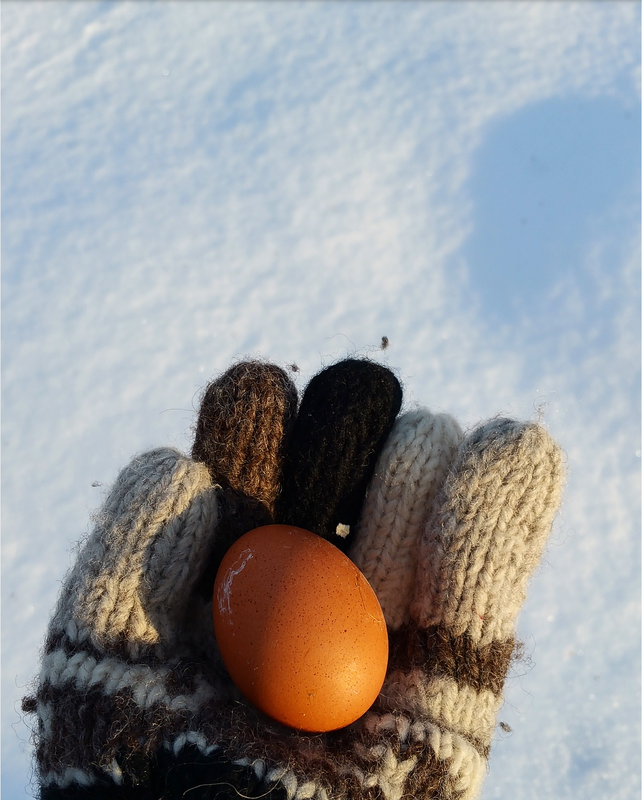 I’ve posted the ocassional blog entry here that relates to my backyard chickens, my sustainable living goals, my garden, and my sourdough baking. All of this material (and more related topics) will now be posted over at my other blog, The Hobby Homestead. I’m waiting on a domain transfer to get rid of the .WordPress part of the URL, but while I wait, I figured I’d start spreading the news that I’m splitting up my blog into two distinct interest areas. If you’d just like to keep seeing my posts about mom-life, do nothing. If you’d like to read more about my urban hobby homesteading endeavours, check out my new blog and consider following me there, too! I’ll be posting less content there (about one post a week), but content will always include pictures and a walk in my shoes as I learn new ways of being self-sufficient as a wannabe urban homesteader. It’s pretty much all food related for now, with topics ranging from growing vegetables to brewing beer. Here’s a sneak peak in pictures of what I’m writing over there right now. I long for autonomy, so I’m working toward a steady, 9-5 job in my field. But that only gives me financial autonomy. I’m afraid that plan might actually backfire and make me feel even less in control of my own life. So if I had a choice in the matter, what would I do to make money? I think I’d love to dabble in dozens of things. Precarious employment is my jam – I’m a multipotentialite and don’t want to be tied down doing the same job day in and day out. I’d want a bigger piece of land to raise chickens and veggies and sell eggs and things at a roadside stand. I’d work as a consultant program evaluator and bring home an irregular paycheque from that. I’d pick up the odd teaching job at a local college. I’d offer workshops on chicken keeping and gardening for suburbanites who want to start on a path of self-sufficiency. I’d raise our kid(s) and cook and clean. But only one of those things brings the stability that is required of a breadwinner. It seems I’m stuck on this path of using my PhD to do research work for The Man. The Man with benefits and a pension program. I’m just floating along, feeling sorry for myself because I have TOO MANY options, too much privilege, and a self-entitlement that only a millennial could have. 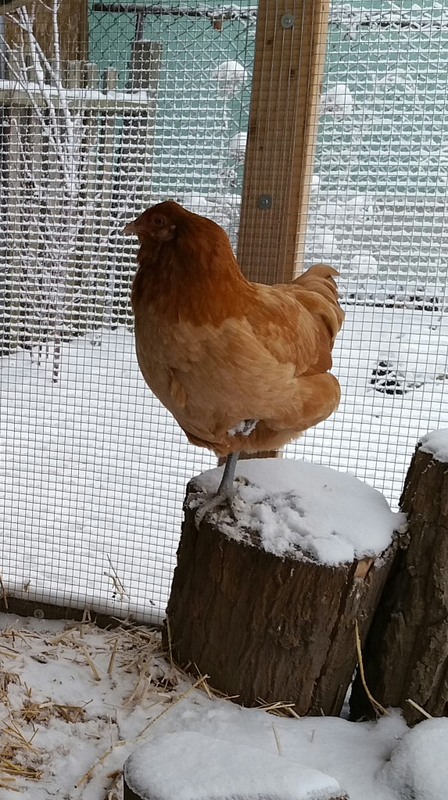 The moral of the story is that chickens can tolerate cold – or at least the cold hardy breeds can. Adding too much supplemental heat can mean that they are not acclimated to the cold, and may not go outside at all over winter. The worst case scenario is that if you have a power outage, your unacclimated birds will freeze (and may not be as lucky as Rodney). Although our chickens would probably be OK without any supplemental heat (as long as they had deep bedding and could huddle together for warmth), I want to minimize the risk of their combs getting frostbite, and, quite honestly, I want to maximize their comfort. They’re pets as much as they are livestock. So, how do we take the edge off without making them wusses to the cold? 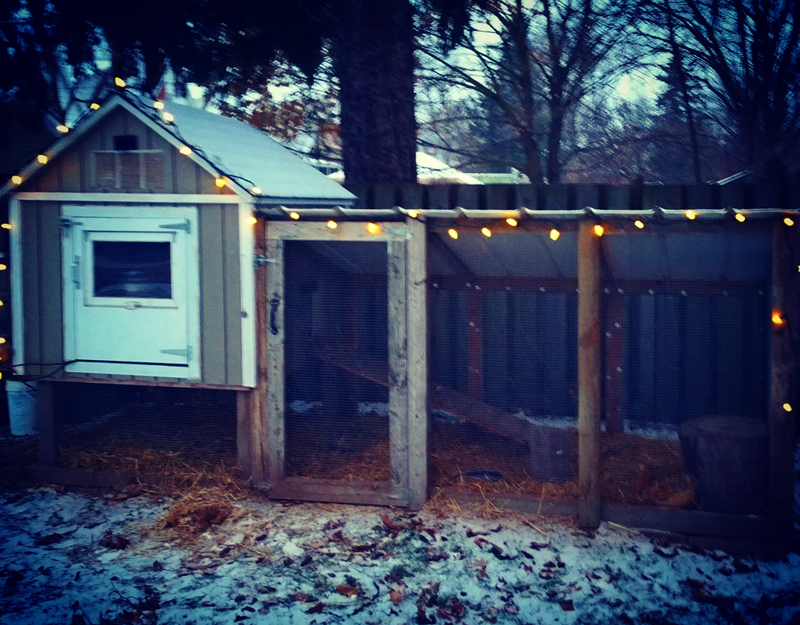 Despite the fact that my wife insulated the hell out of the coop when she was building it, it doesn’t stay warm enough without adding supplemental heat. This is probably because we leave the door to the run open during the day and there are big vents at the peak of the roof that let warm air out and cold air in (ventilation is a top priority in a chicken coop to prevent disease/respiratory infections). When the door is closed at night, the body heat of the chickens alone make it just 1 or 2 degrees warmer inside than out. When it’s -20°C (-4°F), that’s really cold, even for cold hardy birds. This is why we think it’s important to have electricity to your coop if you want to overwinter in a cold climate (i.e., where it regularly drops below ~-15°C/5°F). We just ran an outdoor extension cord from our shed (which we also added electrical to), along the fenceline, to the coop. 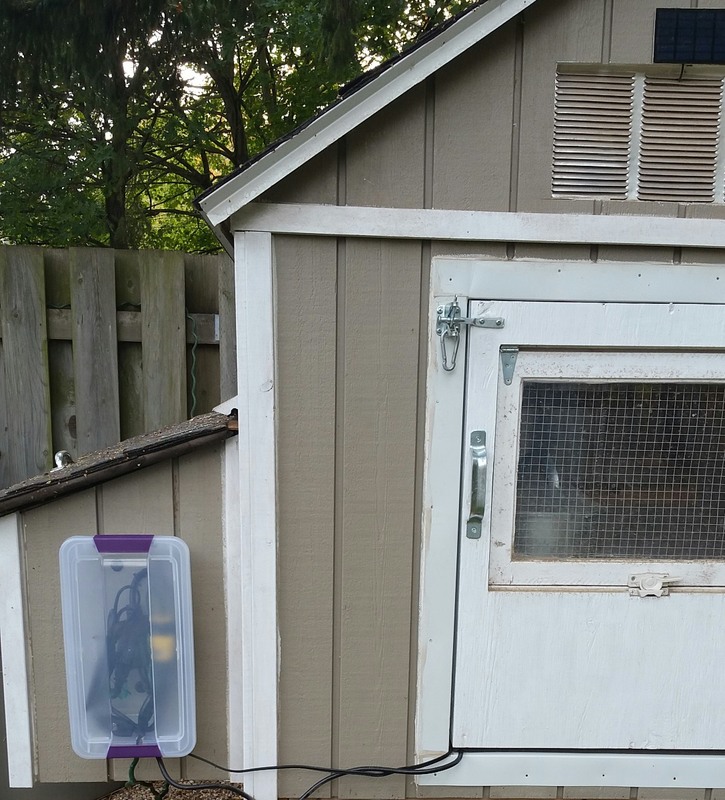 An outdoor power bar is mounted to the side of the coop inside a plastic container (my wife’s genius idea). We can easily pop off the lid of the container to plug/unplug anything we want, and the connections all stay clean and dry. We choose to turn on supplemental heat when it hits -15°C. The heater we use is this one. It’s meant to be mounted to the underside of a desk to keep your toesies warm. It has a low profile, and never gets hot to the touch. If the weather is forecasted to drop below -15, I turn the heater on for the night. 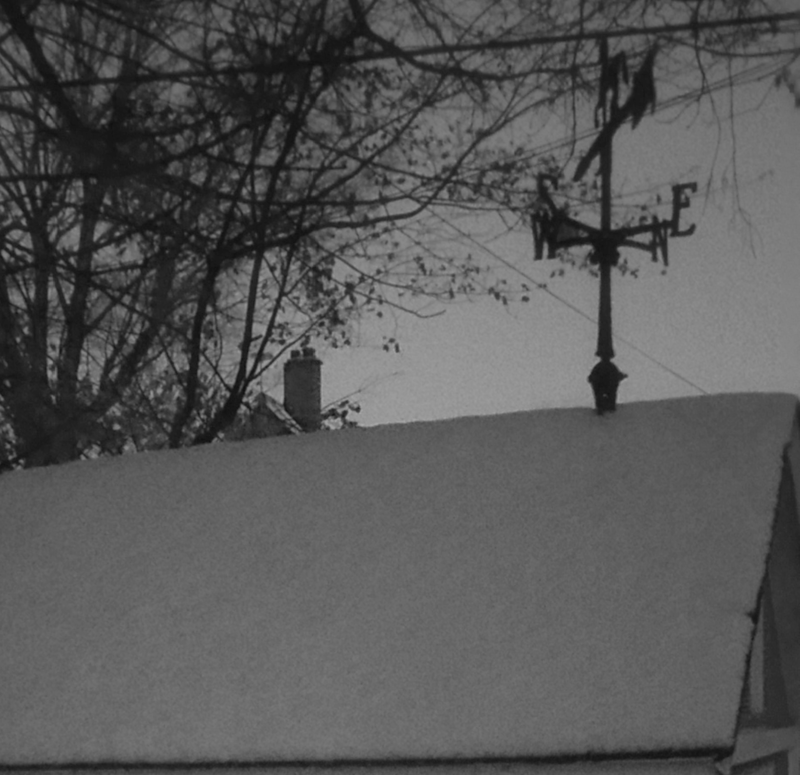 To monitor the temperatures in the coop and outside, I use a weather station with remote sensors. There’s one sensor in the coop and one outside (and one in the baby’s room for good measure). 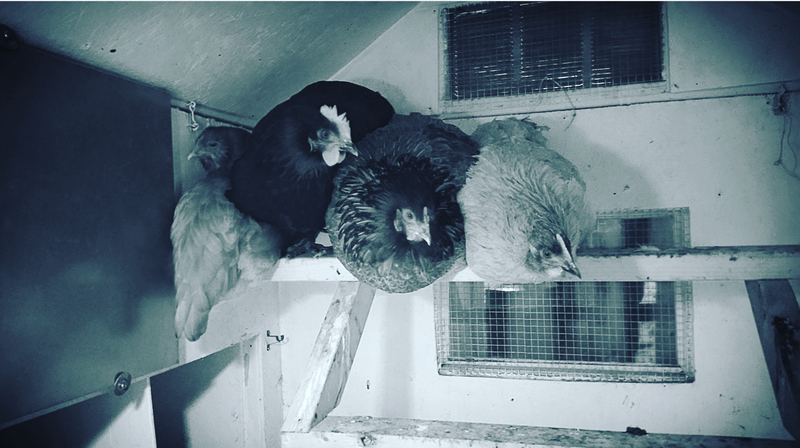 On a -20°C night, the coop can be as warm as -5°C (-1°C if we leave the heater on all day before). I’d like to eventually get a thermostat outlet adapter for it so I can set it to only come on when the coop reaches a certain low, and to turn off when it reaches a certain high. But that’s on the birthday wish list for another year. We have a galvanized steel chicken waterer, and we bought this heated base to set it on. We leave the base plugged in in the winter and it turns on only when the temperature drops below freezing (which is every day in the winter here…). It’s barely warm to the touch so we’re not worried about fires or burnt chicken toes. And I actually found that I like it under the waterer in summertime too because it keeps the drinking trough elevated to keep out poop and bedding. 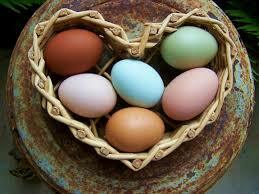 Eggs are a seasonal product. The eggs we buy in the grocery store in the dark, winter months are from farms that use supplemental light to trick the chickens into thinking they’re still in the long days of summer. There’s a lot of controversy of using supplemental light for backyard chickens. I don’t have a strong opinion either way, but we don’t use supplemental light, and here’s why. Chickens, like humans, are hatched/born with all of the (undeveloped) eggs they will ever lay already in their ovaries. One day they will run dry, just like humans run out of eggs to ovulate and go through menopause. 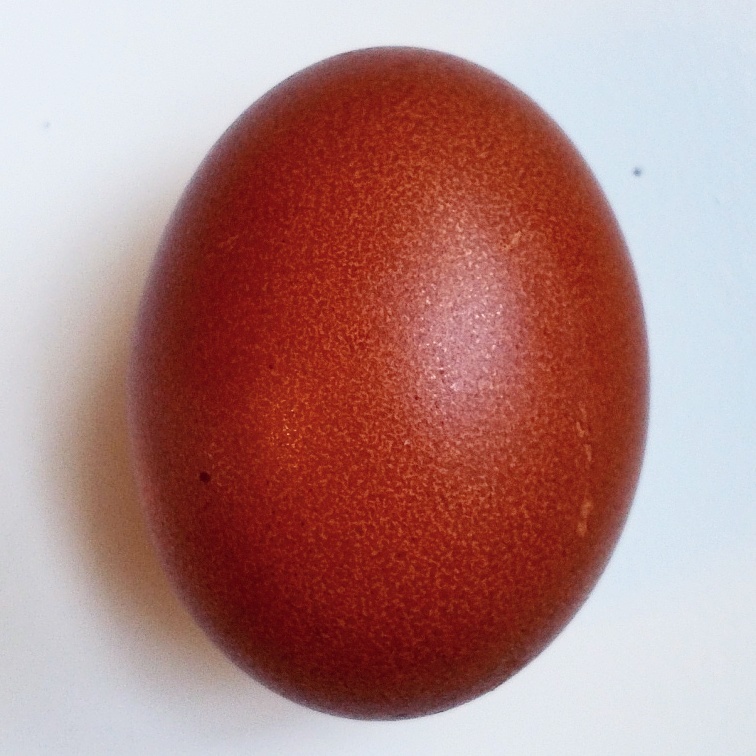 Since we want to keep our hens as pets and don’t want to butcher and eat them after a year or two of good egg laying, we want to stretch out the eggs we get from them. If we used supplemental light, they would lay all through the year, but would dry up at a younger age. Since we don’t use supplemental light, they will only give us eggs in the spring and summer, but they should have many years of laying ahead of them. My mom has a hen who laid intermittently for 10 years without supplemental light. That hen is now senile (but still loved), and seems to have finally retired from her laying days. If you’re just starting out at vegetable gardening, you’ll probably be starting with the popular plants like tomatoes, zucchini, and maybe some herbs. Most people can successfully grow these, but sometimes the garden conditions you are working with (i.e., sun, soil, water) make even these common plants an uphill battle to grow. I’ve found that by applying some of the principles of permaculture to my backyard veggie garden, I’ve decreased my gardening workload and increased my yield. Now, by its nature, gardening takes years in the same plot to really perfect the growing. So don’t worry if you’ve just bought a tomato, a zucchini, and some herbs, plunked them in the ground or in a pot, and were hoping for the best. It might work out pretty great for you, or you’ll find some things that worked and some things that didn’t. Gardening – especially veggie gardening – is art on a canvas that gets wiped clean every winter. You get to recreate and try new things every year. Hopefully these lessons I’ve learned in permaculture techniques will help you as your garden grows and changes over the years to come. If you follow gardening, agriculture, or environmental news, you’ll know that populations of pollinators (like bees) are declining because of pollution, pesticide use, and loss of habitat/food sources. Without pollinators, most of the fruit and vegetables we eat will never form on the plants. Over the years I have learned that doing nothing to attract pollinators has had a detrimental effect on the amount of food I can grow. For example, I have 6 tomato plants in excellent, rich soil, I fertilize them, I water them, they get full sun, and they are properly pruned and tied to supports. The plants are extremely healthy and grow sometimes 5 feet tall. But each year I’m lucky to get enough tomatoes to eat in a few salads. Ideally, that many tomato plants would stock my freezer with tomato sauce to last all winter. In my neighbour’s garden, small, wimpy tomato plants are interspersed among a large wildflower garden. You should see how full with fruit these little plants get. They are so weighted down they look like they’re about to collapse. Unfortunately my neighbour’s front yard wildflower garden is far enough away from my back yard veggie garden that the pollinators she attracts don’t often find their way to my side. So on my list of garden to-do’s is to plant more flowers in and around my veggie gardens. There are a lot of flowers that are reportedly great companions to vegetables, and many are even edible. They also don’t have to take up a lot of space if you plant them interspersed among your veggies. 2. Plant for the sun you have, not the sun you wish you had. This raised bed only gets ~6 hours of sunlight a day, and peas, carrots and beets do best here. The young, curled up fronds of the wild Ostrich Fern are the culinary delicacy known as fiddle heads. 4. Mulch. Mulching is permaculture 101, and it’s not just for the fancy shrub or ornamental grass garden you see in posh neighbourhoods. 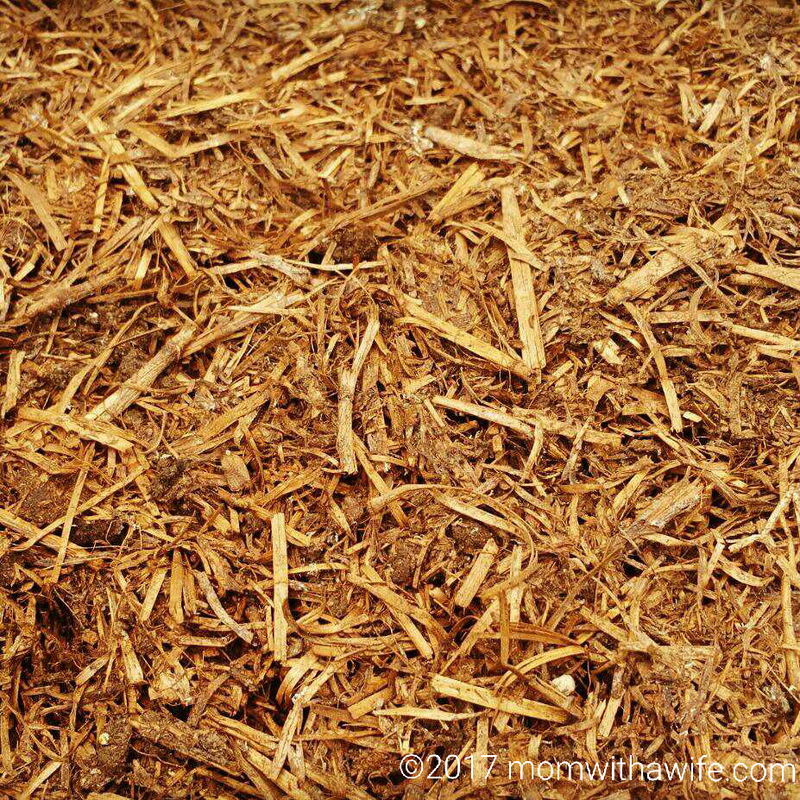 The right kind of mulch holds moisture, provides nutrients to your plants, suppresses unwanted weeds, and will even attract beneficial insects (back to that point about pollinators!). I’m lucky enough to have a local organic mushroom farm that gives away a spent horse manure and straw combo that works GREAT as a mulch and as a tilled in compost for soil amendment. We can also use straw from our chicken run now. These four points are some of the most important concepts of permaculture, and I’ve been able to apply them to my backyard veggie garden to make my life a lot easier. Gardening is always easiest if you can find a way to work with mother nature. Humans will never win in a battle against her (a fact I have to constantly remind myself every time a squirrel decimates my strawberries or my corn…). I tried a classy little moleskin gardening journal a couple of years ago, meant to track my garden layout for rotation planting, list what seeds I needed to order, and make notes on what worked and what didn’t work for me that season. I ended up storing the journal with seeds in the shed and I didn’t get much use out of it. Since I’m really consistent about using this blog, I’m going to try this format. I hope my readers don’t mind the deviation from purely two-mom family stuff, but gardening and self-sufficient lifestyle stuff is an equally huge part of who I am. For anyone interested in our urban backyard homesteading projects, we have a 100′ x 50′ back yard in zone 5. Unfortunately it’s North facing, but we work with what we have. Started kale and herbs indoors. I started a bunch of perennial herbs this year. Perennial is where it’s at. Ordered chicks after giving up on finding ready-to-lay hens in the breeds I wanted. They’ll be ready for pick up mid to late June. Transplanted everything else to outside gardens after last frost date (we had frost mid May this year, so it’s good I waited). Harvested some fiddle heads – they really didn’t do well this year and I have no idea why. They’re native, they’ve done well here in the past, and they’re supposed to be prolific. Need to do some research into why they are struggling. Harvested morels! After trying and failing with mushroom logs for the past 3 years, this was a big win. And that’s why I love wild edibles and native planting. It’s there for you when agriculture fails. Harvested asparagus – also not doing well. Need to bite the bullet and dig it up in the fall to move to a better location. Chicken coop nearing completion, but still need to build the run and get all the chicken husbandry supplies. Have a more perennial vegetable garden. Give more space to things that come back every year and minimize the amount of seeds I have to start inside and transplant. 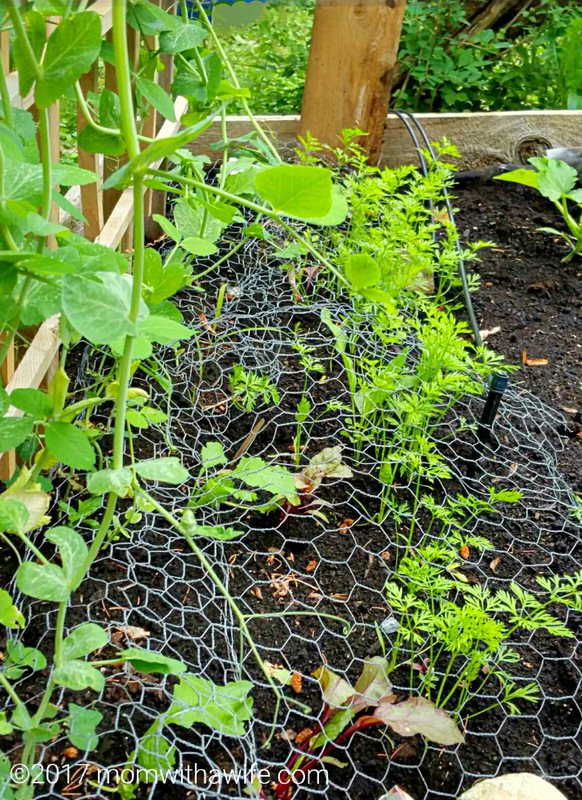 Build raised bed covers out of framed hardware cloth (i.e., heavy duty welded wire mesh) to keep the squirrels out of my freshly sowed seeds next spring. Build a mini hoop house for over my herb bed/kitchen garden so I can harvest kale and herbs through the winter and start greens really early next spring. Move asparagus this fall to a sunnier location. I have been wanting backyard chickens since I moved to this house with its big yard 6 years ago. This year, we took the plunge. The timing seemed right because the bylaws just changed this spring making it easier for people to have backyard flocks, and because we have a child now who will learn about living a self sufficient lifestyle through collecting eggs every day. My wife set to work building the coop. It’s still not done, but the framing is done, insulation is done, walls are up… We still have to put siding and shingles on, and then build the outdoor run. But I knew I had to get started looking for hens if we wanted to have them at all this summer. I searched for a while for ready to lay hens (they don’t start laying eggs till they are at least 6 months old). But I wanted specific breeds so we could get that Instagramable colourful assortment of eggs… Those proved very difficult to find in a 6 month old bird. Finally, I found a farmer not too far away who has chicks in all the varieties I was looking for, and he will keep them on hold (for a mere $0.50/week) until they no longer need to live under a heat lamp and can come live in our coop. So I placed my order, and we are expecting them some time around mid June. Plenty of time to get the coop done, and done right. We won’t have eggs until fall or possibly next spring, but we will get to bond with really young chickens, so that’s a bonus. I am SO excited. There will be pictures a plenty when we finally get them home.